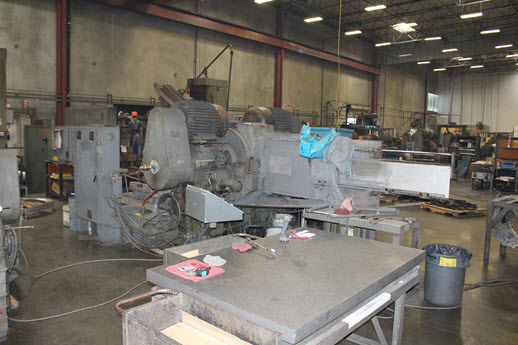 Double Disc Grinding Services - Metal Double-Disc Grinding Services | DIX Metals, Inc.
Double-disc grinding is an extremely efficient grinding process that uses abrasive wheels that oppose one another, grinding and removing equal amounts of stock from both sides of a blank. The result is a flat aluminum or stainless steel machine-ready blank with parallel tolerances to .0005” and finishes to 16 Ra. At DIX Metals, our double disc grinding services can substantially reduce your pre-machining costs. Double-disc grinding’s primary advantage is that metal blanks can be machined at twice the rate of conventional methods. Additionally, closer tolerances can be guaranteed that are attainable with either vertical or horizontal milling processes. 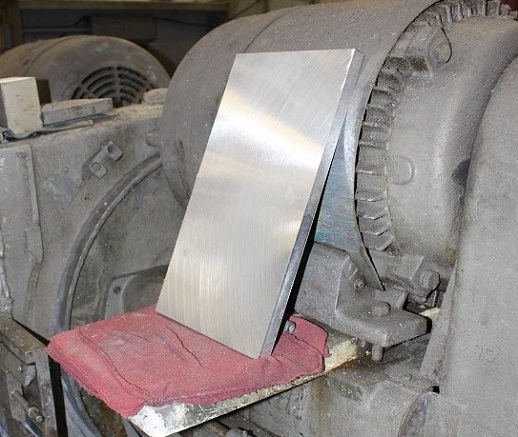 Thinner and larger metal blanks are more likely to flex, thus the greater need for double-disc grinding. There are also other benefits that double-disc grinding provides, including a reduction of internal stress in many metals. With reduced stress, the stability of a machine-ready blank is improved for additional machining phases. Double-disc grinding is also very cost-effective for high-volume production, because of the savings in labor and machine hours. Dix Metals provides double-disc grinding services to manufacturers and machine shops requiring the highest quality product available. Our eight double-disc grinders can quickly remove material on opposing planes. Work piece capacity is up to 24 inches square.